Obsidian S&R are professional VR cameras, which produce high quality 3D 360 photos and videos. The Obsidian S has a super high frame rate of 120fps with 4K resolution, which is suitable for recording fast moving scenes. It can also shoot 6K 50fps 360 degree 3D videos. While the video quality of Obsidian R is up to 8K high resolution with 30 frames per second and it’s capable of 8K 3D live streaming. These virtual reality cameras also come with a high quality real time virtual reality post-production solution. The Kandao studio, a 360 stitching software, can automatically generate 360 VR photo and video shot by Kandao 360 degree camera. So you can enjoy 360 images and 3D content with virtual reality headsets. 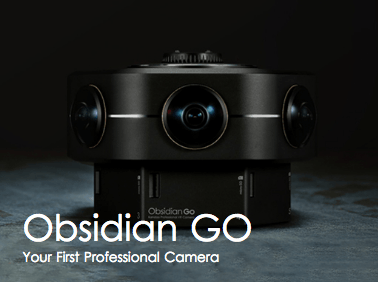 Obsidian GO is a stereoscopic 3D VR camera, which has 6 wide angle fisheye lenses and better field of view. It shoots 8K high resolution photos and 4K 360 videos. This 3D camera can capture the world from every angle and record 360 degree videos and photos. It generates high quality stereoscopic virtual reality panoramas, and brings an immersive 3D Experience. Kandao provides a range of VR solutions. We not only produce high quality 360 degree virtual reality camera, but also develop many softwares to handle 360 videos and photos. Also, these VR video cameras support 360 8K & 4K video live streaming, giving you the immersive 3D experience with only a VR headset. Obsidian 360 cameras need 6 microsd cards, support wi fi, Bluetooth and long battery life. We can share 360 images on social media, such as facebook and youtube. Qoocam is a new portable action camera, which has 3 wide angle fisheye lenses. Two lenses in the front and one in the back. Qoocam is the first-ever interchangeable virtual reality camera, which enables it to have two modes of 2D 360 degree and 3D VR 180 degree. 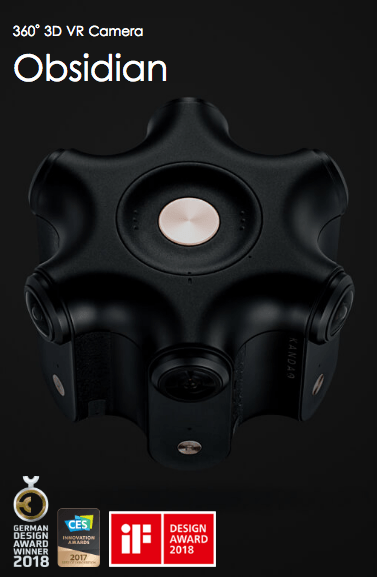 In the initial state, it's a 360-degree camera and you shoot 4K video. Rotate the top half of the camera, it becomes a 3D VR camera and you shoot VR 180. Also, you can get accessories of Toshiba memory cards and selfie stick from here. Kandao is a registered trademark. Our partners value our global reach, network and the trusted brand. We create innovative and high-performing joint programs with partners all over the world.